Somprakash had just picked the set of crumpled papers his wife, Kavita, had angrily thrown in the garbage; he pressed each paper with hand to remove creases and put these in a thick paper folder. The papers included his application to the forest department for paying him compensation for the death of his mother, Nanki Devi, who was killed by a tiger. Kavita was angry because the numerous applications he had sent to the officials in the last one month had been rejected; she thought Somprakash was wasting his time by writing one more. Somprakash lives with his wife and two children in a 6x6-foot room of a house in Methi Saidullaganj village of Pilibhit district in western Uttar Pradesh. The kachcha house is filled with sadness as Nanki Devi had died at the age of 55 on July 1. What added to their grief was the government rejecting their claim for compensation. Why was his claim rejected? “The forest officials alleged that I had deliberately sent my mother to become a prey for the tiger. 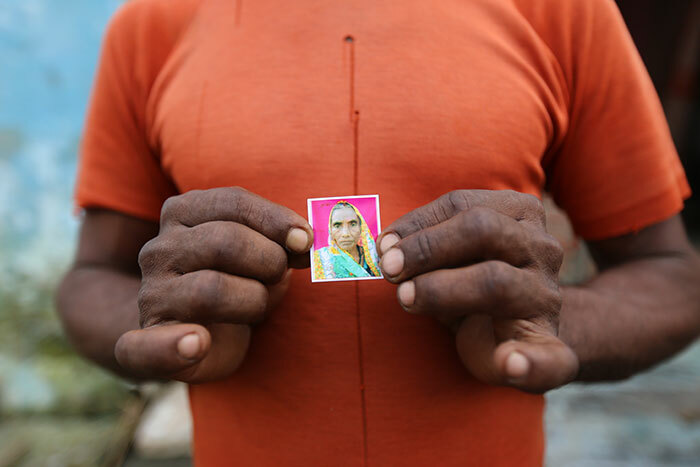 They also claimed my mother was killed inside the forest and not in the fields,” says Somprakash. The forest department pays a compensation of Rs 10 lakh to the family of the person killed by wild animals, taking responsibility for not being able to resolve the ever growing man-animal conflict in the fertile Terai region. The condition is that the death should have occurred around the villages and not inside the forest. Somprakash looks older than his age, 32. There are telltale signs of poverty in the house. He is wearing a torn saffron T-shirt and says he has one more for a change. The family has another house in the village, where his two younger brothers, Dharmendra and Dayashankar, live with their families and tend a three-bigha farm. Villagers say Nanki Devi was attacked by a tiger and her body was found in the fields outside the village, a few metres away from the forest’s periphery. At the forest department, Adarsh Kumar, district forest officer (DFO), social forestry, Pilibhit, saw the video. He shared it with others, including Kalim Athar, a volunteer with Wildlife Crime Control Bureau (WCCB), a central agency to track and control wildlife crimes. Athar, it is said, decided to probe the reality of Nanki Devi’s death. He spoke to villagers and visited the scenes shown in the video and gave a damning report. He reportedly concluded the villagers inside the Pilibhit tiger reserve (PTR) were sending elderly members of their families into the forest to become prey for the tiger. They later placed the body of the person killed by tiger close to a human settlement to claim Rs 10 lakh compensation. The greed for money was making them do this inhuman thing, he concluded. Athar’s findings were summarily rejected by the government and the forest department. Even the WCCB refused to take note of it and the villagers flew into a rage over it. However, the villagers remain under suspicion for manipulating situations to blame deaths on tigers for '10 lakh. Dilip Srivastav, ranger of Mala range, showed this reporter photographs of villagers trying to create pug marks of tigers by using cloth-covered fists. Kalim Athar avoids the visiting media persons. He, however, agreed to meet us after several requests and on the condition that we will not talk about PTR. “I am on the verge of losing my job,” he explained. He said the man-animal conflict in PTR is growing due to the casual approach of the government, its poor policies, poor awareness and tourism. A farmer from Bankati village, which has seen the most deaths caused by tigers recently, told us about the story of an old woman who was apparently left in the jungle by her son. Nandrani Devi of village Pandari under Neuria police station had gone missing on July 10. Her family started raising a hue and cry about the possibility of a tiger having killed her. A manhunt was launched in the jungle near her home and she was found sleeping on a watch tower, usually used by forest guards. She told officials that she had gone inside the jungle with her son to collect firewood when she suddenly found herself alone. She climbed a watch tower to save herself from tigers. Tara Chand, 55, a beat watcher with the forest department, had gone for a recce into the deep forests and didn’t return for two days. The officials launched a manhunt and on May 11, they found his two legs which were neatly severed from the body as if someone has used a saw, in the jungle. He was believed to have been killed by a tiger. However, a local animal rights activist pointed out that a tiger cannot cut the legs with such precision. Tara Chand’s was a suspect death. After a day, officials found a badly putrefied human skull close to the spot where the legs were found. Why couldn’t they find the skull on the very same day the legs were? How come the skull is damaged beyond recognition while the legs are not? The questions arose in everybody’s mind. The investigators believed that the skull wasn’t of Tara Chand and it had been placed to address the suspicions raised by the animal activists. However, the forest department and some charitable organisations have paid Rs 7 lakh to Tara Chand’s son though his claim for compensation for his father’s death at the hands of a tiger still pending with the department. “There were no pug marks, not even a single wound on the legs that should have been there had the tiger dragged him. Some of the questions in this case remain unanswered,” said Amitabh Agnihotri, vice-president, Wildlife Biodiversity Conservation Society, Pilibhit. 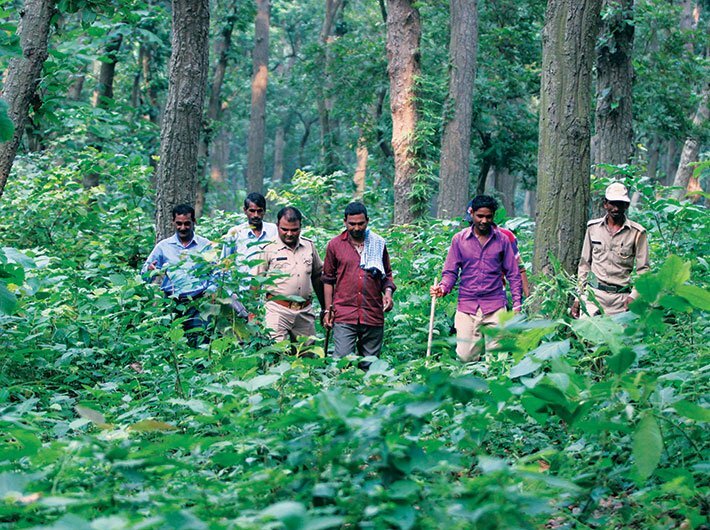 Pilibhit has about 800 sq km forest area, which is nearly 23 percent of the district’s total area. Located close to Nepal, the Pilibhit tiger reserve (PTR), where tigers have killed at least 18 persons – seven inside its Mala range and 11 in the different villages – in the last 11 months, has become the epicentre of man-animal conflict. One among India’s 41 tiger reserves, PTR is spread across 602 sq km and is home to a large number of rare and threatened wildlife species including Bengal tiger, Indian leopard, swamp deer, hispid (brown) hare and Bengal floricans (a kind of bustard). PTR has around 55 tigers, including females and cubs. Their population has been on the rise since 2014, when it stood at 24. “After the Jim Corbett sanctuary went in Uttarakhand, Uttar Pradesh wanted to develop Pilibhit forests as a home for the striped cats. It was declared a protected forest area in 2008 and Pilibhit’s forests were notified as a tiger reserve by the UP government in 2014,” VK Singh said. The reserve has around 325 villages with 3.5 lakh population. Between August 7 and 11, the tigers killed three villagers. The forest department sent a 56-member team to the reserve to track and tranquilise the big cat turned man-eater. Meanwhile, the tiger took another life on August 18. As against the sanctioned staff of 100 officials, including the senior officers like the DFOs, the reserve is being looked after by 75 persons. In such a scenario, the role of beat watchers, who are the footsoldiers for the forest department is very crucial. Ratan Lal is a beat watcher in Bharori. 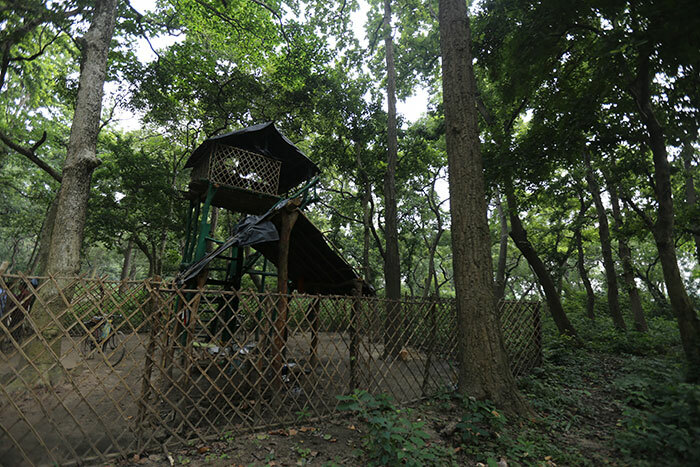 He sits atop a temporary bamboo hut high up on four bamboo stilts to watch over the animals in the middle of the thick forest. VK Singh said beat watchers are trained to identify pugmarks, tackling emergencies and surviving in the forest with no resources. Om Prakash is currently watching six tigers that are believed to be roaming around villages. Mool Chand from Mewatpur village, says beat watchers face the highest level of danger in their work. Their bamboo shelters can be demolished by a tiger or elephant in one go. “We are given just one bamboo to fight the tiger,” he says. Ratan Lal, deployed in Bharori, was recently attacked by a tiger in the night. He miraculously escaped by climbing a tree. For all the risks, beat watchers are entitled to a remuneration of '5,000 per month and even this paltry remuneration has been pending for nine months. Singh admitted that '1.5 crore were pending towards remuneration of beat watchers. He hopes to pay them soon from the '5.50 crore recently sanctioned by the government for the PTR. Bithora Colony is a village of about 120 people located inside the reserve. Jaganand is working in his sugarcane field when he sees Dilip Srivastava, forest ranger of the area, who is visiting the village after a long time. “Sir, please get at least one streetlight for the village. It gets too dark after sunset; it becomes difficult even to walk,” he says. Srivastava promises to help. There are about 13 kachcha houses in the village. Each one is plastered with cowdung and embellished with drawings of fishes, stars and the sky. The villagers are settlers who have moved from Bengal in the wake of the 1971 war. “Indira Gandhi had given us land, which is the only source of earning for us,” says Jaganand, father of two sons and two daughters. Shankar’s sons attend the school, located 6 km away from Bithora, while his daughter stays at home like most other girls. The villagers work in the field in the day and by evening gather in the verandahs of them homes for interaction and recreation. The sheer strength of being together at night helps then keep the tiger away from their village and, more importantly, from their minds. Many villagers don’t send their children to schools for the fear of tigers. There is no healthcare facility here; the nearest one is 5 km away. The women are always accompanied by their men and the children by their parents. Nilgai and wild boar invade crops at night as the villagers are unable to move out in the night for the fear of the big cat. Kailash Prakash, DFO social forestry, said that the man-animal conflict is rising in Pilibhit as humans are intruding into the habitat of the wild cats. “The tiger is accustomed to humans as humans living in the forest’s periphery are also aware of the tiger’s presence. But with rising population on both sides, things are getting disturbed.” He claimed that efforts are on to educate villagers not to go inside the forest. The fear of the tiger also prevails among villagers when they go out to defecate in the jungles. Only 30 percent population in the reserve use toilets and the rest defecate in the open. Pilibhit, the largest city in the area, was at 420th place in the sanitation rankings of 423 towns and cities of India, that was released recently. “Even those who have toilets don’t use it,” said Shashi, as a group of villagers gathered around her started giggling. Shankar explained this giggle, “There is a man named Bhajan Lal from Methi Saidullaganj village, which is just a few kilometres away from here. One day when he was using it, the roof of the toilet fell; he received severe injuries.” The toilet was apparently built by the authorities under a government scheme. “Ab chahe ghar me jaao ya bahar, marna hi hai (Whether you defecate at home or go outside, we all have to die),” Shashi said, laughing again. On a Friday morning, a crowd had gathered on the land between the two adjoining villages of Gareebpur and Himkanpur. Majority of the people here are Muslims but nobody seems to be keen on getting ready for namaz. They were watching a team of forest officials moving around in search of a tiger who is on the prowl in the area. The team has been on the mission for 10 days. “They aren’t doing anything. They enter the forest, tie a buffalo calf to a tree to lure the tiger, sit under a nearby tree for hours and return. Is this how you can nab a tiger?” asks Chetram from Himkanpur, who has been advised against visiting his sugarcane fields till the combing is over. At times, the officials move on elephants through the fields, damaging the crop. The villagers complained they are living in almost a curfew-like situation. “Give us a chance, we will catch and kill it. It’s not difficult at all,” Chetram said. The authorities had launched a tiger hunt after it had killed three persons in four days in August. A team of 100 officials and experts from the Wildlife Trust of India (WTI), the Forest Corporation of UP, Dudhwa Tiger Reserve, Lucknow zoo and the Pilibhit police is trying to locate and tranquilise the alleged man-eater. In fact, police had requisitioned two platoons of Provincial Armed Constabulary (PAC) from Bareilly for crowd management. 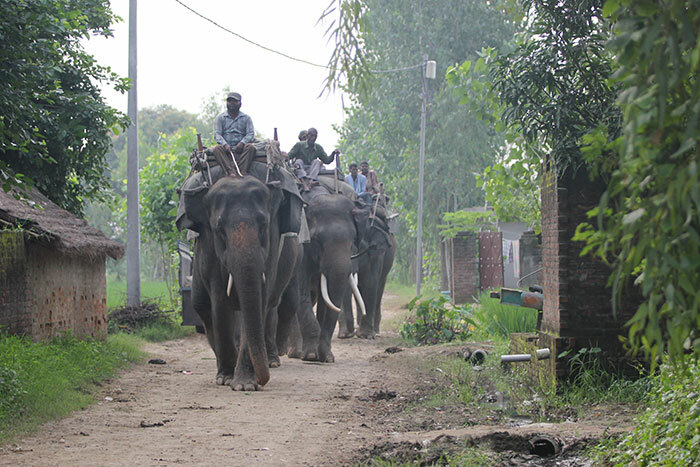 Four elephants from the Dudhwa national park have also been deployed; WTI has provided three tranquilising guns with darts and three drone cameras for tracking the big cat. The team is led by Mayukh Chatterjee, head of human-animal conflict mitigation, WTI, and Dr Utkarsh Shukla, deputy director, Lucknow zoo. 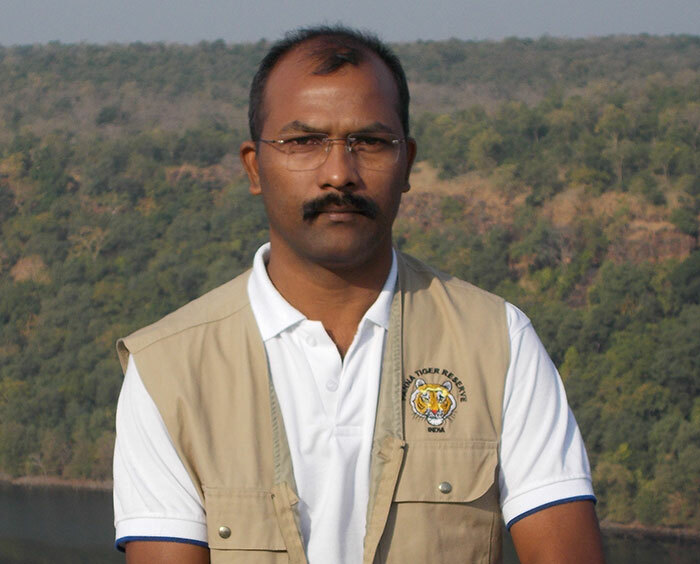 Chatterjee was also part of the team that had captured a man-eater from PTR in February. He told Governance Now that six buffaloes had been tied as bait in the radius of seven-eight km in sugarcane fields to lure the tiger. The tiger had attacked and killed two and yet the team failed to tranquilise it in time. The latest victim of the tiger was a villager who had gone to collect firewood inside Garha area. He was attacked at Jagdishpur and killed while another villager who accompanied him had managed to escape. This made officials conclude that the killings may involve more than one tiger. “The two killings took place at the distance of more than 50 km. It is impossible for a tiger to travel this much distance and not getting caught on a camera or human eye,” says Aftab Ali Khan, ex-range officer, Dudhwa, who had joined the tiger trail just after the last rites of his mother. After the number of killings rose in Pilibhit in one year, one tiger has been declared a man-eater. It’s believed to have killed six humans in the three months since November. It has since been caught and sent to Lucknow zoo. However, success has eluded the present team on the tiger trail. The mission members are blaming it on monsoon, which has turned forest slushy, making it difficult for them to tread, the sugarcane crop that blocks their vision and lack of cooperation from villagers. “This sugarcane is the biggest hurdle. The tiger is eating the calves and yet we are not able to see it because of the standing sugarcane. In fact, it has never taken my elephants so long to track the tiger,” Idris, the mahout of Pawankali, the female elephant that has come from Dudhwa. He says due to sugarcane, the tiger has been able to dodge them for a fortnight. While Gangakali and Pawankali were busy eating sugarcanes, Mohan and Batalik, the two male elephants, rested in shade after an eight-hour walk through thick jungles for the tiger. They had started at 5 am. “These two indisciplined creatures have already eaten. My women are disciplined. They don’t eat while at work,” said Idris who was draped in the huge trunk of Pawankali. Dr Utkarsh Shukla and his team is located somewhere near Himkanpur. He has refused permission to even senior officials to visit the area, where he believes the tiger could be trapped. He is visibly upset at the influx of media persons and others to the area. According to a forest official, the recent visit of chief minister Yogi Adityanath and forest minister Dara Singh Chauhan had disturbed the drive. “The forest minister went deep inside PTR with a fleet of two dozen vehicles. Media is creating a lot of problems. Villagers are not cooperating. It’s tough to deal with all this,” he said. Amitabh Agnihotri claims that in mid-July a tiger was spotted near the district collectorate and was captured. “Some sons and daughters of VIPs and senior bureaucrats were seen taking selfies with the angry tiger caught in the cage. Isn’t it pathetic?” Wildlife experts in Pilibhit allege that senior government officers with their families venture into the forest and have picnics with food, liquor and even music systems. “If you sleep in tiger’s home, he will obviously come to yours for the same,” Agnihotri said. Another thing bugging the forest officials is the increasing hoax calls and nuisance messages about the sighting of and attacks by the tiger. “We have opened an ‘afwah (rumour) register’ to list the numbers from which we receive hoax calls. Action is being taken against them,” said Adarsh Kumar. So, do the villagers call just for fun? “No,” VK Singh says the callers have their interests and serious reasons for making such calls. “They call to tell us that they have seen a tiger in their field. Thereafter, we go and attempt to trace the tiger using force and drones. Once we don’t find anything, they feel reassured of their safety and go for harvesting,” he said. This clever practice is common among sugarcane growers.” Singh smiled as he narrated this experience, tacitly complimenting the ingenuity of the villagers. The tiger has also crept in the infamous political battles being fought between the BJP and the Samajwadi Party in Pilibhit. Hemraj Verma, a former minister who lost the last assembly election, recently staged a four-day hunger strike over tiger attacks. He claimed his ideas on saving villagers from tigers were stolen by the Yogi Adityanath government, and that the latter didn’t care for the villagers who were falling prey to the tigers. In contrast, on his maiden visit to Pilibhit after becoming chief minister, Adityanath assured the villagers that more toilets are being built in the villages where the incidence of tiger attacks was high. He also promised to provide cooking gas to all the villagers so that they don’t have to go inside forests for fuelwood. His forest minister Dara Singh even claimed a fence of concertina wire will be put up around the huge PTR. 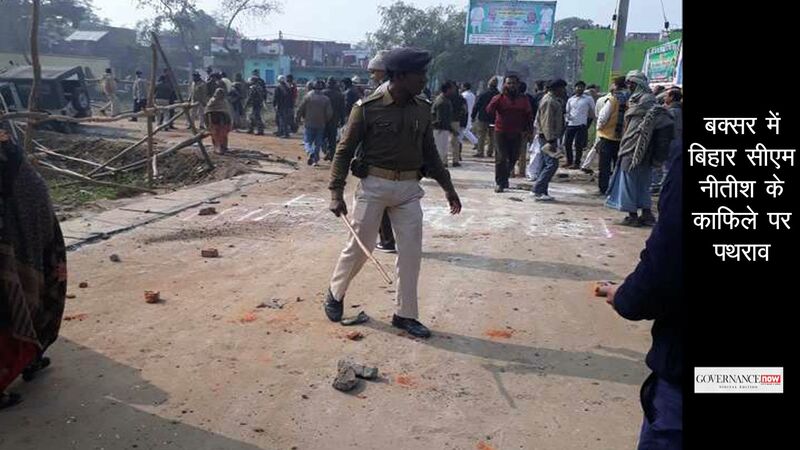 What is the reason for the rising man-animal conflict in Pilibhit? Tigers of Pilibhit have always been used to human presence in their habitats more than many other forest areas and vice versa. It is to be noted that the area is located in Terai region which is very fertile land and also has the highest human population density in the country (much above the national average). It has very good wildlife habitats, but it has very short and sharp boundaries with villages and croplands. Many generations of people in this region had spent their entire lives in close proximity to tigers and I am sure that the present generation is also well aware of the challenges and risks of venturing into the forest after dark, and of other basic precautions they need to take to stay when living in the vicinity of tigers. I don’t know if we can say that the conflict is rising, but there has been fluctuations. 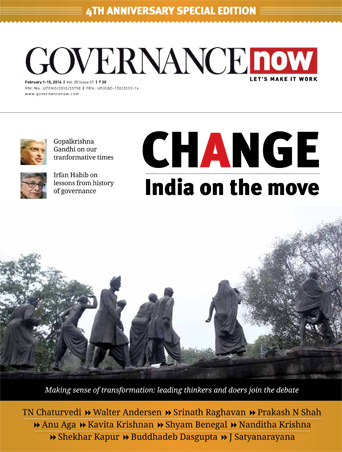 In my view, the incidents appear to be the case of accidents, largely because of the region’s unique geography and the high dependence of its people on forest resources. And these factors increase the likelihood of spatial and time overlap of humans and tigers, and thus elevate the potential for ‘conflict’. Do you believe that tigers in Pilibhit are turning man-eaters? One shouldn’t call Pilibhit tigers ‘man-eaters’. If it is a habitual man-eater, it should be eliminated or brought to captivity. Here tigers are attacking humans when they are being disturbed or people go for fuel wood or grass collection. Moreover, usually a tiger turns man-eater when it can no longer hunt its natural prey and gets used to human prey. But you don’t expect the entire population to become man-eater and it will be unfair on the tiger, which is a much gentle being. I am also aware that Pilibhit has a good prey base. What do you think about the idea of the UP government of fencing PTR as locals are opposing this stating that it will turn the forest reserve into a zoo? It’s not a bad idea, provided it is implemented with a consultative process. The opposition might be due to the uncertainty or lack of clarity as to where and how the fences may come up. Fencing can be considered in some specified area and not everywhere. The specific stretches should identified in the area where the interaction level of human and tiger is higher. This has to be done strategically and with the support of the people as the people of this area have large dependency on firewood on the forest and right of way. Do you think sugarcane crop is a problem? I don’t think sugarcane is a problem. Sugarcane mimics tall grasslands, which is preferred areas for tiger to take cover. There have been incidences wherein tigers have used sugarcane to produce litters and move around, as it provides dense cover. Therefore, people need to be consulted on this cropping practice and incentives must be given to those growing sugarcanes. Also, these attacks are happening in the sugarcane fields rarely. Sugarcane also acts like a buffer. If we don’t have sugarcanes, it will be forest or non-forest contrast and tiger may be exposed to higher interactions. Tigers also use sugarcane fields to move from one place to another, like Pilibhit tigers moving to Dudhwa or Katarnia Ghat. Why does the forest department feel sugarcanes is the hindrance? Catching a tiger is difficult if sugarcanes are around. But that can be helped too. We need to introduce a long-term monitoring based on radio-telemetry in Pilibhit. We need to try and capture as many as tigers [as possible] and monitor them on regular basis. So whenever the animal is going away from forest or near human habitat, the technology, which is available, will alert the forest department. We need to integrate sophisticated technology in this area and there are many options available these days. The Wildlife Institute of India is pioneering in sophisticated technologies in the country. One should work towards ensuring habitat improvement and prey availability in this area, so that the prey base may be improved and the tigers can be contained in the core area to some extent. The raising of fuel wood plantations and distribution of fuel-efficient chulhas in nearby villages would enable people to restrict movement inside the core area. Improve trans-border cooperation as the Indo-Nepal border is a hotbed for the smuggling of wildlife products and poaching. And above all, education and awareness is important. There may be a need to institutionalise rapid response force at local level and engage local youths in tiger conservation efforts. What do you have to say about increasing forest and wildlife tourism? I am against intrusive forest tourism but [it] can be carried out with specific strategies. NTCA has a policy on this.